Supply and demand trading strategy is my favorite strategy so far. I have always wanted to write a detail article about this strategy and one of my trader friend did so before me. Let us explore his article for now shall we? Whether we look at strong price turning points, trends or support and resistance areas, the concept of supply and demand is always at the core of it. A strong uptrend can only exist if buyers outnumber sellers – that’s obvious, right?! During a trend, price moves up until enough sellers enter the market to absorb the buy orders. The origin of strong bullish trends are called accumulation or demand zones. Bearish trends are created when sellers outnumber buy orders. Then, price falls until a new balance is created and buyers become interested again. The origin of a bearish trend wave are called distribution or supply zones. After identifying a strong previous market turn, wait for price to come back to that area. 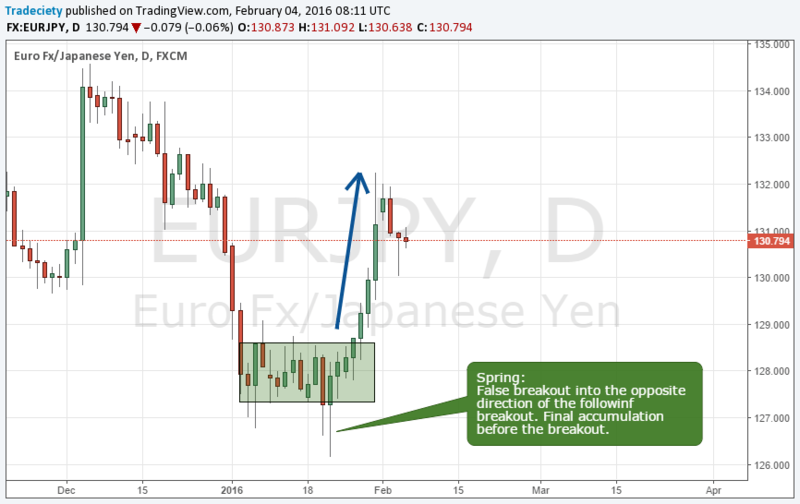 If a false breakout occurs, the odds for seeing a successful reversal are extremely high. Supply and demand zones are natural support and resistance levels and it pays off to have them on your charts for numerous reasons. Combining traditional support and resistance concepts with supply and demand can help traders understand price movements in a much clearer way. You’ll often find supply and demand zones just below/above support and resistance levels. And while the support and resistance trader is being squeezed out of his trade, the supply and demand traders knows better. Next > Time for a correction at Equities Market?